Fulfill a variety of space and storage requirements using Thermo Scientific Revco High-Performance Laboratory Refrigerators with Glass Doors. 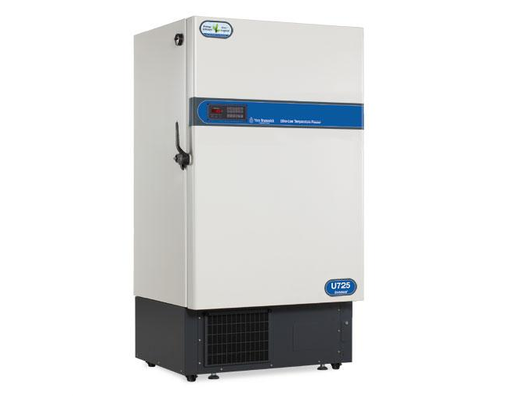 These refrigerators feature a microprocessor control system, positive airflow systems, industrial-quality cabinet construction and extra-strength refrigeration compressors that are ideal for industrial, clinical and scientific applications. Certifications/Compliance: UL and cUL listed. TUV approved. CE marked. Ideal choice for laboratories and pharmacies requiring undercounter or countertop applications with space for ventilation. Freezers are preset at -20°C (-4°F). Innova Upright Model U101. When it comes to maximizing sample storage capacity, Innova freezers set the standard. They use advanced vacuum insulation panel technology to reduce freezer wall thickness. This provides up to 30 % more storage capacity than traditionally-insulated freezers without increasing the external dimensions. Upright Innova models have three separate interior compartments with gasketed, insulated doors for exceptional sample protection. Innova Upright Model U360. When it comes to maximizing sample storage capacity, Innova freezers set the standard. They use advanced vacuum insulation panel technology to reduce freezer wall thickness. This provides up to 30 % more storage capacity than traditionally-insulated freezers without increasing the external dimensions. Upright Innova models have three separate interior compartments with gasketed, insulated doors for exceptional sample protection. Innova Upright Model U535. 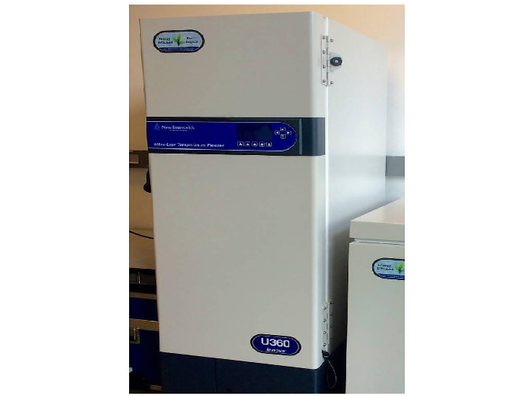 When it comes to maximizing sample storage capacity, Innova freezers set the standard. They use advanced vacuum insulation panel technology to reduce freezer wall thickness. This provides up to 30 % more storage capacity than traditionally-insulated freezers without increasing the external dimensions. Upright Innova models have three separate interior compartments with gasketed, insulated doors for exceptional sample protection. Innova Upright Model U725. 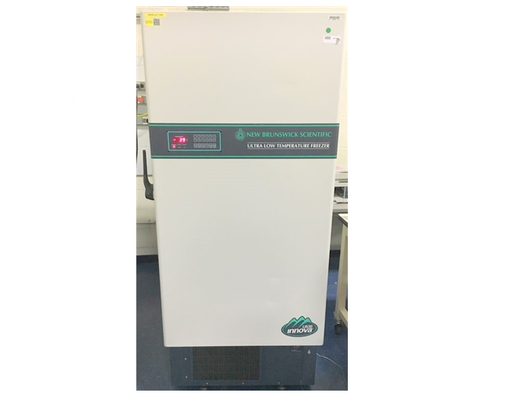 When it comes to maximizing sample storage capacity, Innova freezers set the standard. They use advanced vacuum insulation panel technology to reduce freezer wall thickness. This provides up to 30 % more storage capacity than traditionally-insulated freezers without increasing the external dimensions. Upright Innova models have three separate interior compartments with gasketed, insulated doors for exceptional sample protection. 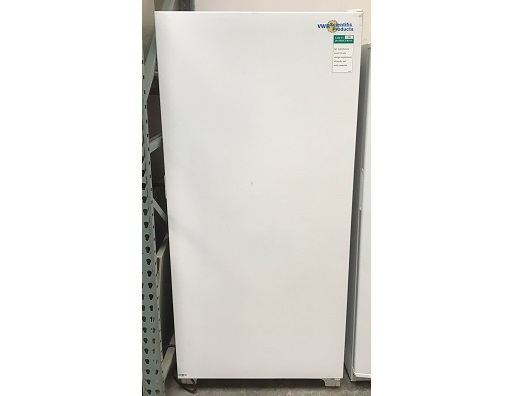 The most popular upright freezer of our lineup offers the perfect balance of power and efficiency. The U725 boasts quick pull-down times and recovery between door openings while only consuming 16.4 kWh/day. Energy-efficient, quiet-running and dependable the U725 use space-saving Vacuum Insulation Panel technology to reduce wall thickness for a significant increase in storage capacity. 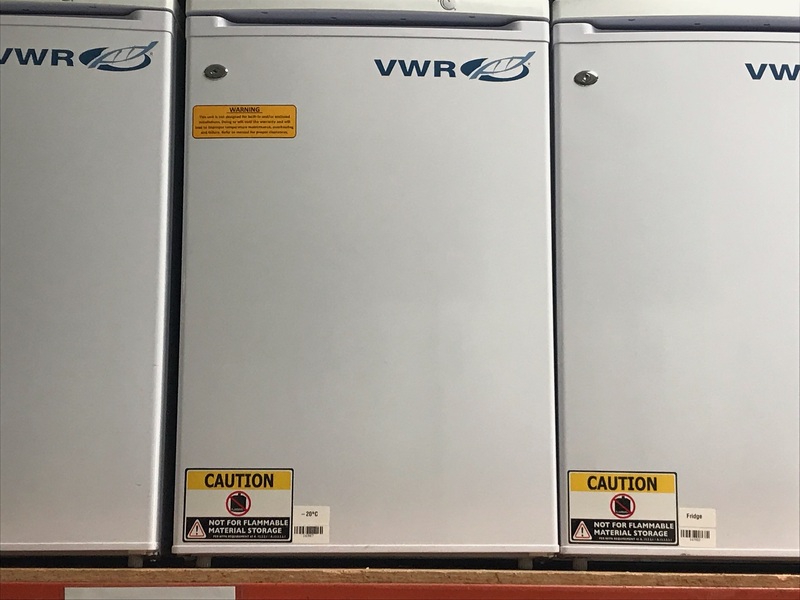 Our manual defrost Revco high-performance, -20°C enzyme freezers are designed for storage applications in which even slight intermittent coil warming during auto defrost cycles cannot be tolerated. 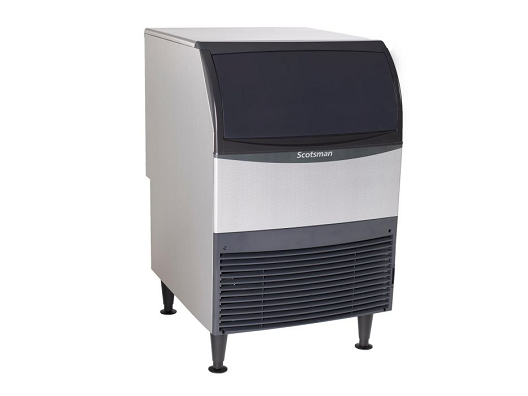 Dimensions (H x W x D): 79.2 x 28 x 37.2"
The Scotsman UF424A-1 is a 24” wide, undercounter ice maker with bin that makes up to 440 lbs of flake style ice with an air-cooled, self-contained condenser. The bin is fit to hold 80 lbs storage capacity. 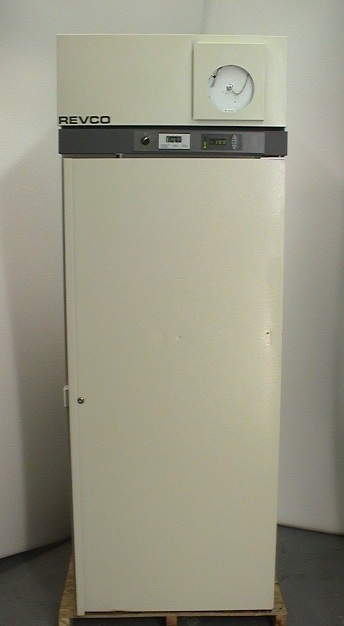 This ice maker operates at 115 Volts, 60 Hz and 1-phase.